I don’t even know where to begin with this one. A beer brewed with bacon? 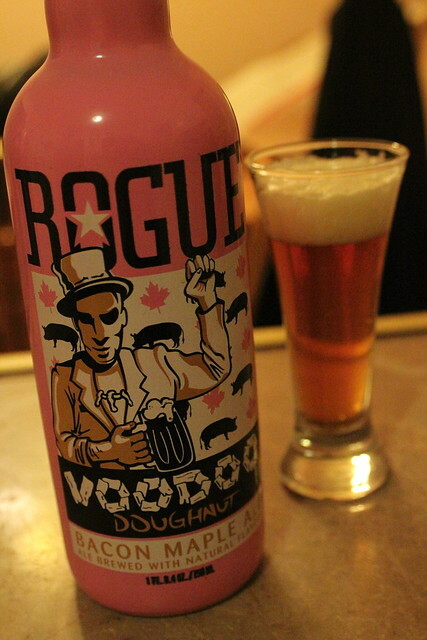 Rogue Ales recently hit the markets with a collaboration beer they created with Voodoo Doughnut out of Portland, Oregon. 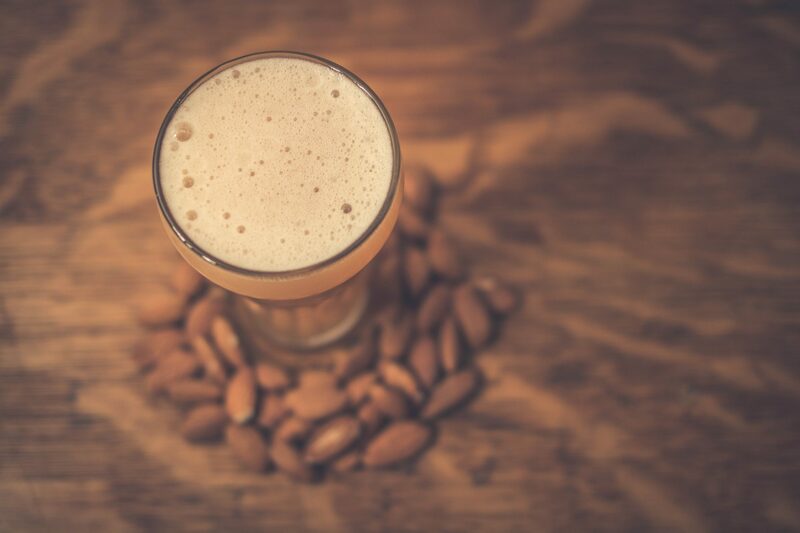 The beer features a slew of smoked malts, maple flavoring, and yes, bacon. Now I have had some smoked beers before that were a little overwhelming (and needless to say not to pleasant), so I was a bit skeptical about the thirteen dollar bottle of beer I had just purchased. After reading some mixed reviews online my skepticism only increased. I mean, you have to believe everything on the internet, right? Wrong. Bacon Maple Ale was one interesting and enjoyable beer. Unlike other smoked beers I have tried, the smoke flavor in Bacon Maple Ale doesn’t take over the show and leave you burping smoke signals when you are finished hours later. It’s just a simple sweet and slightly smokey ale that is real enjoyable. 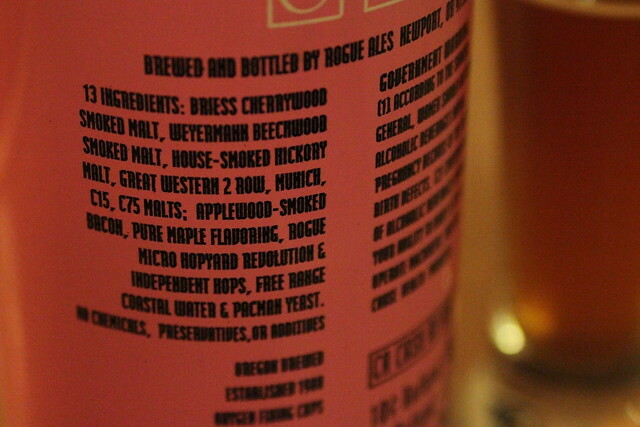 Just in case you were wondering how this beer got its flavor. Getting into the bottle a little later in the evening, we weren’t able to hit the store for some bacon to cook up and pair with the beer so we improvised with another awesome pork bi-product (and a New Jersey favorite): pork roll. 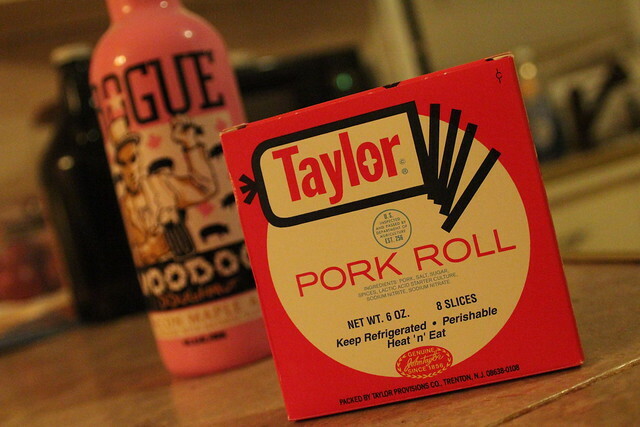 Surprisingly, the pork roll brought out the flavors of the beer – not that I wasn’t enjoying it, it made just made for a whole new experience. Â I imagine a fresh cut slice of applewood bacon would be the holy grail of food pairing with this beer but I could see this being a good at brunch to have along side with some waffles, french toast, or pancakes. 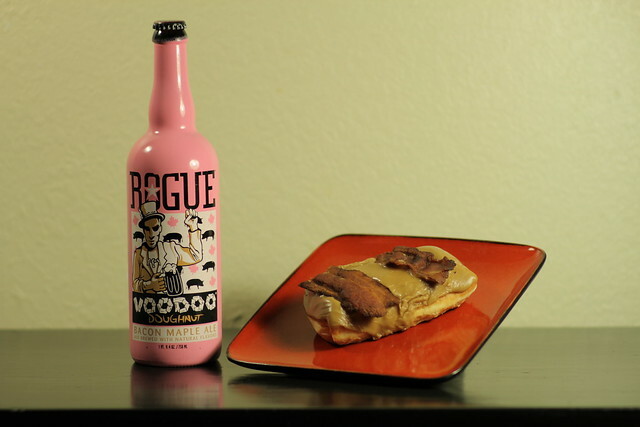 If not a fresh slice of bacon, then how about a Bacon Maple Bar from Voodoo Doughnut? My good friend Justin Shreeve from Life Blasters received this gift from his girlfriend over the weekend. He had this to say: “Dude, the doughnut is so good. Like, the crunchiness of the thick cut bacon compliments the soft doughy texture of the bar so well. And the salty/smoky flavor of the bacon with the sweetness of the maple is phenomenal. It’s kind of like dipping french fries in a vanilla milkshake. So different, but such good companions.” That had my mouth watering and had me looking up flights so I could enjoy this doughnut while this crazy beer is stillÂ around. Mixed reviews aside, Bacon Maple Ale is a must try for any beer geek. While it may not knock your socks off it is truly something unique and my hat goes off to Rogue for putting this one out there.